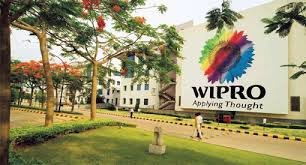 IT firm Wipro said it will offer bonus shares to its shareholders and will also consider buyback of equity shares around July this year. The Bengaluru-based company will offer one bonus share for every one share held by shareholders (including to ADS holders) and expects the bonus shares to be awarded within two months, i.E, June 24, 2017. It said the step was taken to encourage participation of small investors, increase liquidity and expand retail shareholder base. Interestingly, the issuance of bonus shares was not part of the agenda papers for the Board meeting. The process, timelines and other requisite details with regard to the postal ballot will be communicated in due course. "The Board of Directors will consider a proposal for buyback of equity shares around July 2017," Wipro CFO Jatin Dalal said. In September last year, Wipro had concluded the buyback of 40 million equity shares that resulted in a total cash outflow of Rs 2,500 crore. Share buyback typically improves earnings per share and is a mechanism to return surplus cash to shareholders besides supporting share price during periods of sluggish market condition. Indian IT companies are under pressure to return excess cash on their books to shareholders through generous dividends and buybacks. Last week, shareholders of India's largest software company TCS approved a Rs 16,000-crore buyback plan, the biggest in the Indian capital market. Infosys, too, has outlined its capital allocation policy recently to return up to Rs 13,000 crore this financial year through dividend and/or buyback, and while its smaller peer HCL Technologies has approved a buyback of up to 3.50 crore shares worth Rs 3,500 crore. Earlier this year, bowing to pressure from activist investor Elliott Management Corp, IT company Cognizant announced a USD 3.4 billion share buyback. Wipro Board has also approved re-appointment of Azim Premji as Chairman and Managing Director for a period of two years from July 31, 2017. It also approved increase in authorised share capital of the company from Rs 610 crore to Rs 1,126.5 crore by creation of additional 258.25 crore equity shares.